Excel, a part of the Microsoft Office suit, offer password protect feature to prevent unauthorized users from viewing or modifying a *.xls (Microsoft Excel) file data, we can password protect MS Excel 2003 files so that only certain people can control the information. 1. Before password-protecting a workbook or worksheet, you have to consider writing down the password and keep it secure. That way, if you lose or forgot the Excel password, it will be easier to recover the information. 2. Excel has two types of password. One is “password to open” and the other one is “password to modify”. You can password-protect the worksheet against modifications so that give some people read-only access to a workbook, or you can password-protect the workbook against opening an entire workbook of multiple worksheets. 3. Microsoft Excel supports several types of encryption settings, including Microsoft Base Cryptographic Provider V1.0, Microsoft DH Schnabel Cryptographic Provider, Microsoft Strong Cryptographic Provider, and more. However, password protecting an Excel file does not 100% guarantee that the password can not be decrypted or the password hacked. 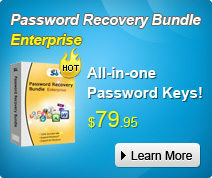 You can learn more about how to recover Excel password from SmartKey official site. Now follow these steps to password-protect Excel 2003. Point to the File Menu, click save as and input the file name then the *.xls file is saved on your local disc. Point to “Tools” – “Options”. When the “Options” multi-tabbed dialog box appears, click the “Security” tab. • If you don’t wish other users to view your Excel workbook, enter a password in the “Password to open” box, and then click OK.
• If you agree other users to view your Excel workbook but don’t want them make changes to the workbook, type a password in the “Password to modify” box. • If you wish to use a different encryption settings type, click Advanced, choose an encryption setting type you want in the list, and then click OK. And you can also specify the number of characters in the Choose a key length box. After type your password, a “Confirm Password” box will prompted, retype your passwords to confirm, then click OK.
Step4: Resave the Excel spreadsheet. After password protecting your Excel file, click Save. All the steps are finished. Excel Password Recovery! Excel Password Reset! Excel Password Retrieve! It’s possible to protect Microsoft Office Excel worksheets and workbooks from unauthorized operations with password. However, what if you forget or misplace the password? If you can’t remember or if it is handed down by your employer who leaves the company without telling you the password, the Excel data might become inaccessible. At this situation, Excel Password Recovery 5.0 comes in handy. It is designed to recover Microsoft Excel passwords, enabling you to easily view the workbooks and sheets for the information. This Excel password recovery tool supports to recover password for Excel documents of all versions through 2007. In addition to the powerful attack modes of brute-force attack, brute-force with mask attack, and smart dictionary attack, this program is super easy to use with the straightforward user interfaces. 8. Free updates during one year. Step2: On the Recovery tab, select “Brute-force Attack (Trying All Possible Combinations)”. Step3: Click “Start” in the Menu to initial the program. Step4: The program is recovering the password. Once the password is found, it’ll be displayed in the File Opening Password Box. Click “Remove All Passwords from the File” to remove both the Password to Open and Password to Edit. Click “OK”. Use the password provided to open the Excel file and view the information. Note: Excel Password Recovery 5.0 can be downloaded on it official website. By the way, there is a tool there called Password Recovery Bundle which including not only Excel Password recovery 5.0 but also other programs that can recovery your windows password, office password as well as rar password.